Today is my 37th (how much) birthday but it is also my blogs’ 3rd birthday. I launched my blog on the 26th March 2009, so Happy Birthday blog. I’ve had a great day today, but my birthday started at the weekend when the sun started to shine and we got the barbeque lit on Saturday and chucked on some big steaks. Today I’ve had lots of lovely presents, cards, flowers arriving at work, scrumptious doughnuts to eat, and another barbeque tonight with Pimms and cake. I love all the Facebook messages that I have had today from people from far and wide including these guys from the industry, so a thank you to Christoph, Bas, Rupert, Todd, Chris, Scott, Baz, Jackie, Mikkel, Bob, Joost, Jason, Marcus, Peter, Sebastian, Rasmus, Brandy, Ziv as well as all the friends and family who left me a message, sent me a text, emailed me or tweeted me. So anyway in time old tradition lets have a round up of stats from my blog after 3 years … how are we doing. My favourite posts are my annual round ups and review of the decade, as I love looking back at what I have been up to. This next year I want to dedicate some more time to my blog and do more regular posts, but its very easy to say that but fitting it in is a different matter, but I’ll try. 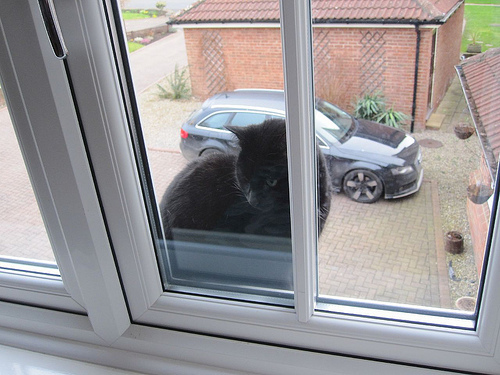 I have a crazy cat called Poppy who every morning will climb up and sit outside our bedroom window, meowing to be let in. Why she just doesn’t just use the cat flap is anyone’s guess. 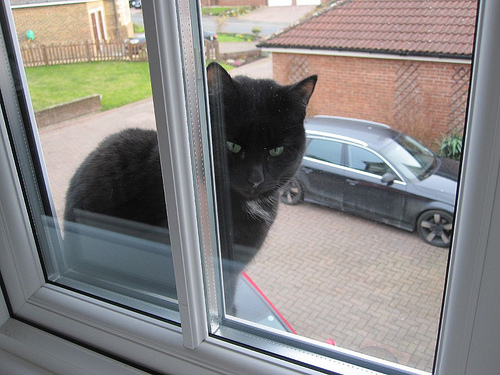 So she sits there on a window sill that’s no more than 3 or 4 inches wide and wakes me up … every morning.